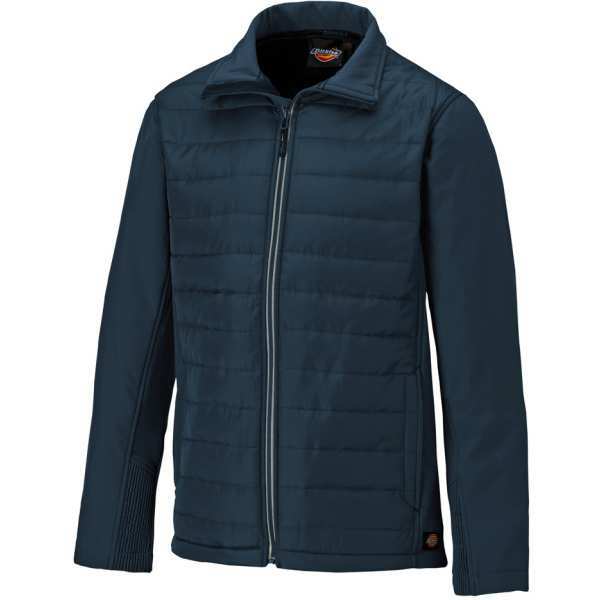 Loudon Jacket Navy XXL The Dickies Loudon Jacket has a lightly padded body, with contrast fabric sleeves. This work jacket will provide warmth during colder seasons. This modern style, with contrast zip, has proven to be incredibly popular over autumn & winter months.